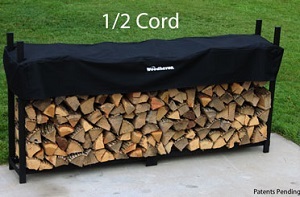 Measures 96″ (8 Ft.) by 48″ by 14″ Also known as a face cord, This big rack incorporates a center support and will store larger amounts of firewood. 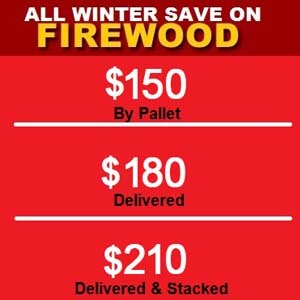 Measures 60″ (5 Ft.) by 48″ by 14″ For those who desire more wood storage. This size can also add a custom look for spots that this size fits most. 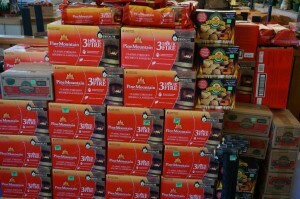 Measurements are 48″ (4 Ft.) by 48″ by 14″ deep. 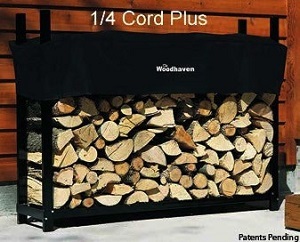 Also known as 1/2 face cord. 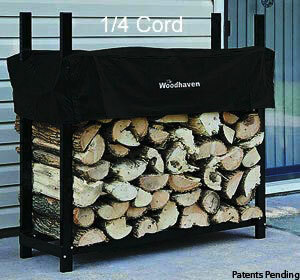 This rack assembles with only eight stainless steel bolts (included). 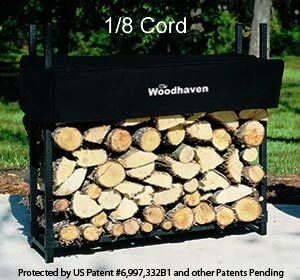 Measures 36″ (3 Ft.) by 36″ by 10″ This Woodhaven® Firewood Rack is the right size for everyone!